Cheshire Constabulary is advising residents across the county to be vigilant following a spate of burglary incidents involving outbuildings, including sheds and garages. Such incidents occurred in Winsford, Northwich, Macclesfield, Wildboarclough, Alsager, Little Neston, Frodsham and Warrington. Superintendent Laura Marler said: “The public can aid our fight against such crimes by contacting us if they see such burglaries being carried out or anyone acting suspiciously in their area. “Information in relation to anyone carrying out, or suspected to be carrying out, such burglaries will also be gratefully received. “Cheshire residents can also help us and themselves by making it as difficult as possible for criminals to break into their sheds, garages and other outbuildings. 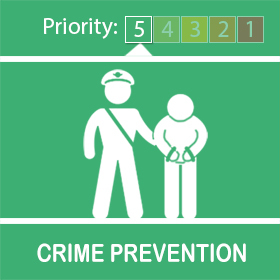 Anyone with information about burglary incidents in the county should call Cheshire Constabulary on 101 or give the details via https://cheshire.police.uk/contact/general-enquiries.